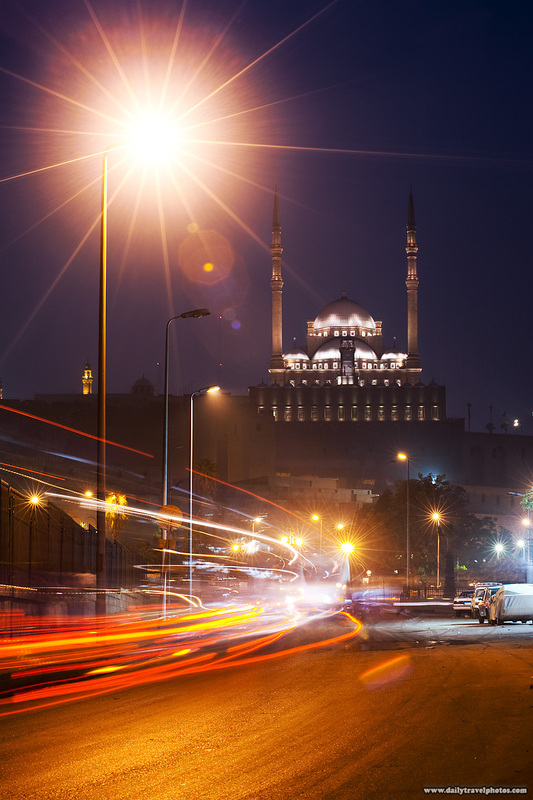 Traffic swirls on the busy street below the Citadel in Islamic Cairo. 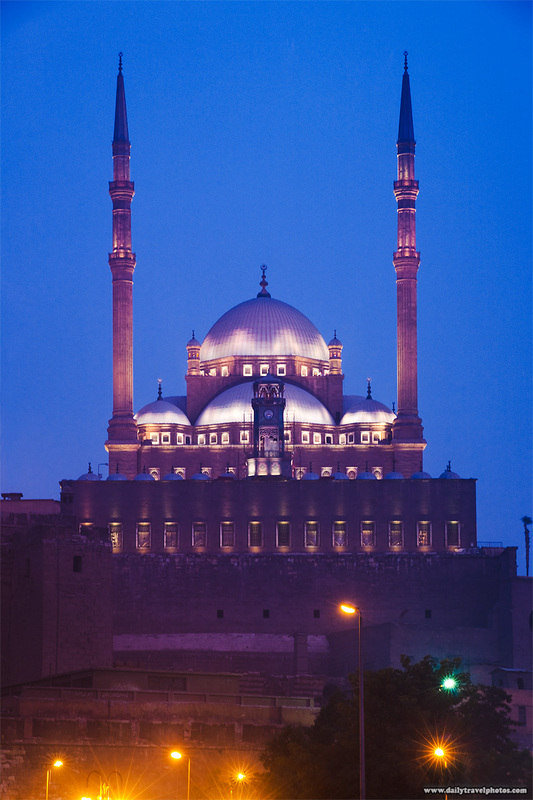 Islamic Cairo's Citadel at the blue hour. The first one is magically gorgeous. I love the light trails.